Properties are expensive and build revenue to overall wealth. It is important to make certain that the residents being trusting with your belongings and real estate are responsible. A person that makes good money pays rent on time is respectful to neighbors and a stand-up citizen is becoming more difficult to ensure in this day and age. 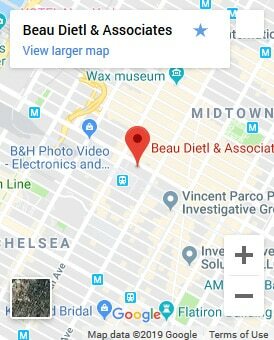 At Beau Dietl & Associates, we provide a thorough screening into a person’s past and present to guarantee that the tenant will meet all expectations. We conduct in-depth searches that can be as extensive as necessary depending on the request. Our investigators operate at national and global levels utilizing exclusive databases to find all information possible. Check Social Media Presence – Review of Facebook, Twitter, MySpace, LinkedIn, etc. After receiving requested documents, we are confident that you will be able to make an informed decision regarding new or current tenants.